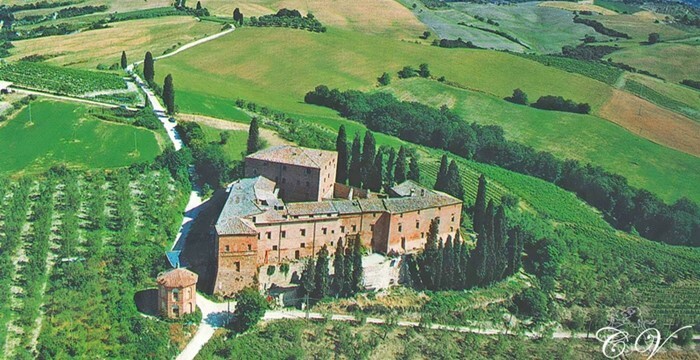 Located in an exceptional panoramic position in Montalcino in the province of Siena, immersed in the hills of this verdant territory made of vineyards, oaks, holm oaks and thick bushes, the castle dating back to the 15th century is located in a wonderful area that offers enchanting views of the valleys and characteristic landscapes of the area. The road that leads to it takes its name from the castle and is owned, the avenue is flanked by two dense rows of centuries-old cypress trees. 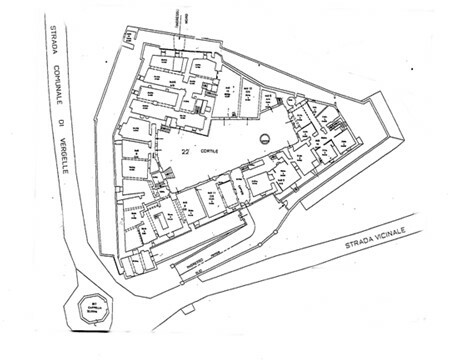 The imposing brick structure is composed of two separate blocks with shoe base and other bodies that develop around a central courtyard in which there is an ancient well of circular shape. Adjacent to the historic complex stands a graceful octagonal family chapel which is part of the entire historical complex. 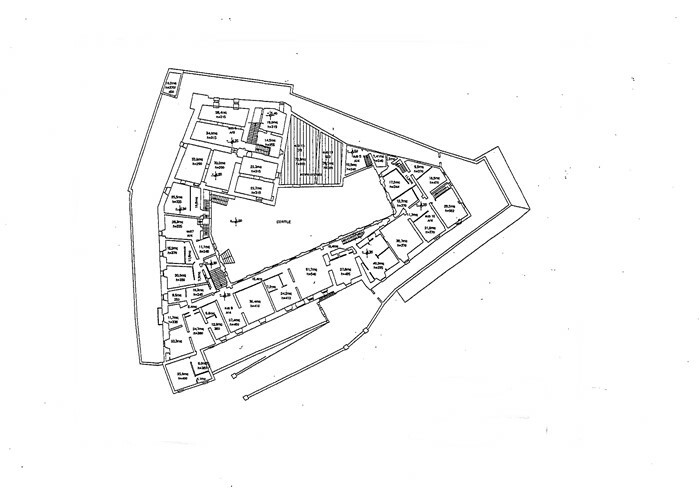 The total internal surface is of 3900 square meters that develop on four levels in addition to the cellars, reaching a maximum height of 18 meters. The land surrounding it is 1000 square meters where it is possible to build a swimming pool, with another 7 hectares on the northern side that enjoy excellent exposure; a very generous land rich in organic substances and nourishment, excellent for the planting of a vineyard as an agronomist study already established. Within the same municipality complete the property another 12 hectares ideal to be put to use in the panorama of the renowned Tuscan agricultural production. 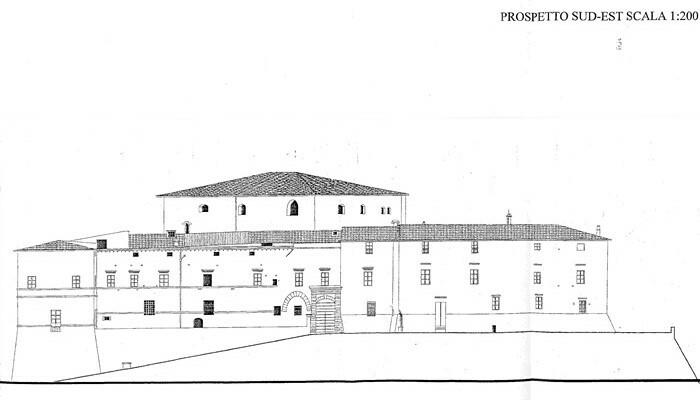 The properties were acquired by the De Vecchi family from the hereditary divisions of the sisters Margherita and Giulia Verdelli daughters of Cristofano Verdelli who died in 1592 without male heirs. In the early years of the millennium the property was acquired by Count Baron Renato Santoro who left it as a legacy to the children who are the current owners. The Medieval Castle has come to the present day maintaining an ancient charm and a mysterious beauty embellished with elegantly frescoed walls, vaults and ceilings. 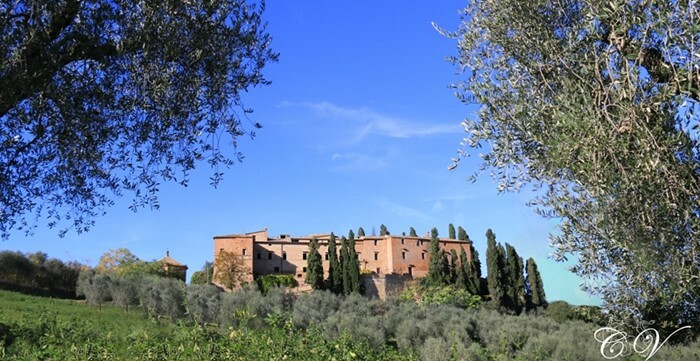 Staying in these silent places allows you to relive the most genuine Tuscan tradition and enjoy the uncontaminated charm of the surrounding nature. The area is classified as an “Area for receptive tourism settlements“. A project has already been implemented for the recovery of the complex approved by the Integrated Building Commission, provided in full compliance with the landscape and architectural features with careful selection of materials and the study of decorative details. The internal part of the complex is completely to be restored, and other restoration works are necessary for a recovery for residential and / or hospitality purposes.